In a world filled with online scams and digital identity theft, biometric verification helps companies to safeguard their business interests and ensure that only authentic users can enjoy an online experience free of any personal or financial loss. Although there are multiple biometric verification methods available such as iris scans and fingerprint scans but facial verification online remains to be the most effective solution for a variety of reason. Fingerprint scan and retinal verification require special investment by the company that wants to use this set of biometric features of users to verify their identity. This means that the company not only have to invest in the software or a digital solution for identity verification of its customers but also the hardware equipment and not to forget the cost of maintenance and installation that has to be sustained by the business making it a costly venture. On the other hand, online facial verification requires no special hardware equipment. A simple HD camera is enough to take a selfie and upload it on the online platform and perform user verification through it. Even a phone camera is enough to perform these kinds of biometric verification. Face verification services also provide an added advantage of remote verification which means that the end-user does not have to be physically present in a branch or store in order to verify their identity. Although no smartphones are available that can perform fingerprint scans or retinal verification but as not everyone has access to such phones. But every smartphone has a high-end camera installed in it these days, so user verification for online businesses also becomes easier to perform. So it can easily be said that online services become easier to provide if an online business opts for face verification online. Remote account opening, online transactions, placing online orders, registering on a gaming portal, you name it. With instant verification results available with biometric verification, users and businesses both stand to benefit from facial recognition solutions. Last, but not the least, unlike other forms of biometric verification, it is nearly impossible to cheat an online facial verification system. Unique biometric features of a face are hard to copy but even if any fraudster tried to cheat the authentication system, it is nearly impossible because of liveness detection and anti-facial spoofing technology introduced by Artificial Intelligence. Biometric features can be referenced from a photo ID such as Identity card, passport or driving license to ensure that only authentic and genuine user is trying to verify their identity or avail a service. Unique biometric features allow for accurate matching of a user’s identity thus allowing for better results and enhanced trust on the services that are being offered. There are several online facial verification solutions available right now that can check for facial features but also for uploaded images there are checks such as photoshop check, 3D depth analysis, and even greater diligence. It is a great time for innovative products and technology is leading the roost and changing the entire landscape of business operations being carried out at the moment. But the higher revenues being generated by the online businesses have to be invested back into technologies that make the online marketplace risk-free for end-users and more profitable for online businesses. 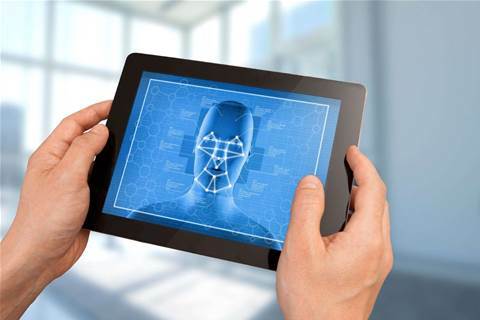 Facial recognition technology is something that can help all stakeholders by creating cyberspace where identities can be checked in real-time without causing any friction during the service delivery cycle or overall user-experience on any digital platform.